NATO is reporting the death of an ISAF soldier from a small arms fire attack in an undisclosed location in eastern Afghanistan on Wednesday, June 30th. #1: Two policemen were killed on Wednesday and another was wounded when unknown gunmen attacked a checkpoint in southern Baghdad. “The gunmen were driving a civilian car when they used guns with silencers to open fire on a police checkpoint at the al-Tayiara Street in Daura neighborhood, southern Baghdad,” a local police source told Aswat al-Iraq. #2: One policeman and one civilian were wounded on Wednesday when a roadside bomb went off in southwestern Baghdad. “The blast occurred in the al-Amil neighborhood, southwestern Baghdad,” a local police source told Aswat al-Iraq news agency. #3: Gunmen killed an 18-year-old girl in the Zaafaraniya district in southeastern Baghdad, an Interior Ministry source said. #1: Police forces on Wednesday found an unknown corpse of a woman southwestern Kirkuk city, said a local security source. #1: Five mortar shells hit a court in western Mosul on Tuesday, without causing casualties, according to a security source. “The shells hit the local administration’s court in Bab Senjar region in western Mosul, without causing casualties,” the source told Aswat al-Iraq news agency. #2: Unknown gunmen killed a man and wounded his brother in southern Mosul, a police source said on Tuesday. “The gunmen opened fire on two brothers on a road in al-Shoura district, southern Mosul, killing one of them and injuring the other,” the source told Aswat al-Iraq news agency. #3: A woman was killed and two more were wounded by gunmen in western Mosul, a security source said on Tuesday. “Unidentified gunmen attacked a house in al-Zenjili region in western Mosul, killing a woman and injuring two, including a nine-year-old child,” the source told Aswat al-Iraq news agency. #4: A police car transporting a prisoner was struck by a roadside bomb, wounding the prisoner, in western Mosul, police said. #5: A bomb attached to the car of an off-duty policeman killed him and wounded a passenger in eastern Mosul, 390 km (240 miles) north of Baghdad, police said. #6: Gunmen stormed a house in the western part of Mosul, 390 km (240 miles) north of Baghdad, killing a woman and wounded two people, police said. #7: Gunmen attacked workers paving a road killing one and wounding another near a town south of Mosul, police said. #1: One civilian was killed on Wednesday and another wounded when a sticky bomb went off in western Anbar province. “The bomb went off inside a civilian car in central Heet district, 72 km west of Ramadi city,” a local police source told Aswat al-Iraq news agency. #1: Militants set off a car bomb and stormed the entrance to an airport in eastern Afghanistan on Wednesday in a failed attempt to enter the air field used by Afghan and international forces, authorities said. Eight insurgents died in the ensuing gunbattle. The Taliban claimed responsibility for the assault, part of an upswing in violence in the nearly 9-year-old war. Using light weapons and rocket-propelled grenades, the militants battled international forces for 30 minutes on the outskirts of Jalalabad city, according to information provided by the media office at the airport. An Afghan solider and one international service member were wounded in the fighting, NATO said. "They were not able to breach the perimeter. They were fought off by a combination of Afghan and coalition security forces," German Army Brig. Gen. Josef Blotz, a spokesman for NATO, told reporters at a briefing on Wednesday. #2: Elsewhere in the east, U.S. and Afghan forces battled hundreds of militants from an al-Qaida-linked group for a third day Tuesday in Kunar province, the U.S. military said. Two American soldiers were killed Sunday in the first day of the operation. #3: Two rockets were fired by unidentified terrorists at a paramilitary Frontier Constabulary (FC) checkpoint in Sharifabad, suburbs of Quetta. No one was hurt in the incident, official sources said. #4: Besides, late Tuesday night, at least two paramilitary troops were shot dead in an ambush on their checkpoint in Dasht area of district Mastung of the city, official sources said. Balochistan province, bordering Iran and Afghanistan. #5: At least 15 militants were killed and 10 others were wounded when fighter jets attacked militant positions in the Orakzai tribal region's Mamozai and Kath areas. Six militant hideouts were also destroyed in the action, government sources said. The DoD is reporting the death of Pfc. Robert K. L. Repkie who died from a non-combat related incident at Forward Operating Base Farah, Farah province, Afghanistan on Thursday, June 24th. #1: An Iraqi army officer was killed when a bomb attached to his car exploded in Kazimiyah, the primarily Shiite district north of Baghdad, police and hospital officials said. A brigadier general in the Iraqi army was killed when a bomb attached to his car exploded in northwestern Baghdad in the Kadhumiya neighborhood, Interior Ministry officials said. #2: They said a civilian was also killed in a similar attack when a bomb attached to his car detonated in Hurriyah, another mainly Shiite district in the north of the capital. One civilian was killed on Tuesday and two others were wounded when a sticky bomb went off in northern Baghdad. #3: In the Dora neighborhood in southern Baghdad, a car explosion killed one civilian and wounded four others. #4: Police forces on Tuesday defused a roadside bomb in central Baghdad, without causing any casualties. “The bomb was found and defused in the al-Rasheed Street, central Baghdad,” a local security source told Aswat al-Iraq news agency. #1: At least five people were seriously injured by a bomb attack on an Iraqi policeman's home in the city of Abu Ghraib, just west of the capital of Baghdad, police said. Gunmen attacked the home of a police officer with explosive devices at dawn, leaving him, his wife, and three of their children seriously injured. They have been taken to a hospital for treatment. #1: Four policemen have been killed in one of a series of fatal attacks in Iraq, officials said. The officers died and seven civilians were wounded when an explosives-laden car detonated next to a police patrol in the town of Beiji, 155 miles north of Baghdad. "Among those killed was Lieutenant Colonel Hussein Ahmed Hussein, the head of the intelligence department of the police of Baiji, and a tribal leader," a police source in Baiji said, asking not to be identified. #2: In a separate incident, police said gunmen opened fire on an oil truck travelling on a highway just outside Beiji, killing its driver. #3: Separately, fire fighters were able to put out a fire caused by an attack on an oil pipeline carrying oil from Bayji to the area of Rashidiya. 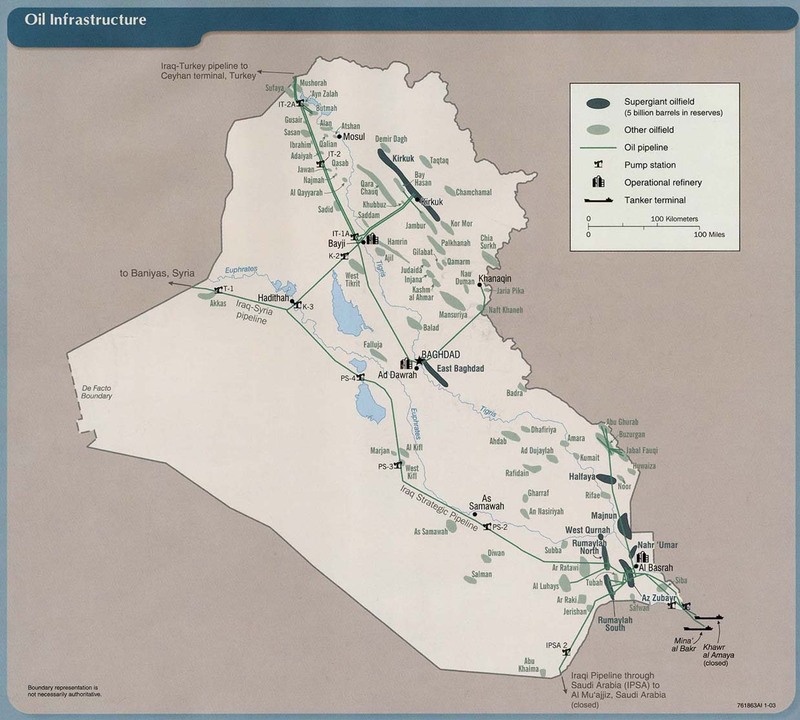 "A pipeline carrying crude oil in the area of Bayji was attacked by militants with explosives. Thirty fire brigade teams participated in putting out the fire," Qassem Atta, a military spokesperson, said in a press statement. #1: Turkish warplanes have bombarded northern Iraq as Ankara pushes forward with its campaign against the separatist Kurdistan Workers Party (PKK) terrorist group. The attacks targeted the Sidakan district of Arbil province in the mountainous northeast of Iraq. "The bombing targeted Kurdish nomads in the border area," PKK spokesman Ahmed Denis said of Monday's air raids, AFP reported. "We don't yet know the extent of the damage or casualties." #1: An Iraqi soldier was wounded on Monday in a car bomb explosion in north of Mosul, according to a security source. “A car crammed with explosives went off near an Iraqi army checkpoint in Talkief district in north of Mosul, injuring a soldier,” the source told Aswat al-Iraq news agency. #2: One policeman was wounded on Monday in a bomb explosion in western Mosul, according to a security source. “An improvised explosive device went off on Monday targeting a police vehicle patrol in al-Islah al-Zerai neighborhood in western Mosul, injuring a policeman,” the source told Aswat al-Iraq news agency. #3: A police force found on Monday a body of a worker in eastern Mosul, according to a police source. “Policemen found a bullet-riddled corpse of a textile factory’s worker in al-Nabi Younis market, eastern Mosul,” the source told Aswat al-Iraq news agency. #1: A U.N. vehicle was shot up at a busy traffic circle in Afghanistan's capital Tuesday, and at least one person was wounded, witnesses said. The windows were shattered on the white pickup truck, with a blue U.N. logo painted on the side, and blood was spattered inside. The attack came at a time of heavy traffic around Massoud circle, an intersection near the U.S. Embassy and an American military base. Two people were in the vehicle, but only the driver was hit, said a man who saw the shooting. He only gave one name, Mirajudin. Mirajudin said he and the passenger of the U.N. vehicle helped pull the driver out. "I saw that the driver was shot in his eye," said Mirajudin, who still had blood smeared on his arms. "He was bleeding from the eye and from the nose. I helped him and we put him in an ambulance." #2: Suspected US missiles have struck a house in a Pakistani tribal region along the Afghan border, killing at least 10 suspected militants including a possible al Qaida operative, intelligence officials said. Two missiles struck the house near Wana, the main town in the South Waziristan tribal area, where the Pakistan army has been battling Taliban fighters. The house was believed to have been frequented by al Qaida members. Aside from saying one of the dead was believed to be an al Qaida operative, the officials would not speculate on the identities of those killed, but added that they included Arabs, Turkmen and Pakistanis. Four militants were wounded in the attack, the anonymous officials said. #3: Two civilians were killed and two wounded on Tuesday when a roadside bomb struck a vehicle in the Khakrez district of the southern province of Kandahar, Zalmai Ayobi, spokesman for the provincial governor, told AFP. #4: In the southern province of Zabul, insurgents attacked a security company vehicle in the Shahr-e-Safa district on Monday, killing six security guards and wounding five, provincial spokesman Mohammad Jan Rasoulyar said. #5: On Monday, six policemen were killed by a roadside bomb that ripped through their pickup truck in the Bala Buluk district of the western province of Farah, said local police spokesman Abdul Rauf Ahmadi. #6: A bomb blast also hit a motorcycle in Bala Buluk the same day, killing two civilians, he said. #7: Elsewhere in Farah province, seven Taliban militants including a local commander, were killed, three wounded and two arrested after they ambushed a police convoy on Monday, provincial police chief Mohammad Faqir Askar said. #8: A TVNZ reporter and cameraman came under fire from enemy forces along with New Zealand bomb disposal experts in eastern Afghanistan late yesterday. ONE News’ defence reporter Michael Parkin and cameraman Blair Martin – both of TVNZ’s Wellington unit – were travelling with the bomb disposal experts as part of an assignment covering the work their soldiers are doing in Afghanistan. The New Zealand Defence Force has described the attack as “sporadic and ineffective”. #9: The assault represents one of the largest in eastern Afghanistan in the past several years and reflects growing concern among U.S. commanders and Afghan leaders that Taliban insurgents are seeking to intensify pressure in the east as troops prepare for a tough summer of fighting in the south. The U.S. and Afghan troops, flown in on Black Hawk helicopters, seized the mountainous high ground in Konar province's Marawara district in the pre-dawn hours Sunday and were soon attacked by a force of as many as 200 insurgents. Two U.S. troops died in the assault, and as many as 150 insurgent fighters were killed by the U.S. and Afghan troops in what U.S. officials said was one of the most intense battles of the past year. "Once the battle began, others from the area tried to maneuver into the area," said Col. Andrew P. Poppas, who commands a swath of territory the size of Massachusetts along the border with Pakistan. "This was a tough fight." The Afghan army, police and border force made up about 60 percent of the attacking force and played a central role in planning the assault, U.S. officials said. The district subgovernor in the valley had been a mujaheddin commander decades earlier and battled occupying Soviet forces in the same mountains. "He knows the valley so well," Poppas said. "Our guys were on the key high ground before the sun even came up." U.S. officials said that the heaviest fighting in the district had ended by Monday morning and that U.S. and Afghan forces had shifted their effort to reestablishing the Afghan police and local government in the district's main village. "The tough part is still ahead," Poppas said. #10: At least 11 militants were killed and another four injured Tuesday in a clash with Pakistani security force in the northwest tribal areas of Pakistan, local media reported, citing official sources. Militants clashed with Pakistani troops in Ghorogundi area of Central Kurram agency bordering Afghanistan. Three vehicles owned by militants were also destroyed in the military action in Central Kurram. #11: A Danish soldier was wounded today by an accidental shot. The relatives are informed. The precise circumstances of the accident is still not clear, but it was a shot from the soldier's own weapon that wounded him. NATO is reporting the deaths of four ISAF soldiers in a roadside bombing in an undisclosed location in northern Afghanistan on Sunday, June 28th. News reports the attack was in Almar, Faryab province. The British MoD is reporting the death of a British ISAF soldier from small arms fire in the Nahr-e Saraj district, Helmand province, Afghanistan on on Sunday, June 28th. Here's NATO's release. NATO is reporting the deaths of two ISAF soldiers in a small-arms fire attack in an undisclosed location in eastern Afghanistan on Saturday, June 27th. NATO is reporting the death of an ISAF soldier in an IED attack in an undisclosed location in eastern Afghanistan on Friday, June 26th. MNF-Iraq is reporting the death of a U.S. soldier in a vehicle accident south of Ad Diwaniyah, Iraq on Friday, June 25th. #1: At least two police officers were killed and four others wounded in a double bombing in central Baghdad on Monday, the Interior Ministry said. The police were in Sheikh Omar area of Baghdad defusing a roadside bomb near a restaurant when a second one detonated, the official said. #2: In another attack Monday, gunmen stormed a house in southern Baghdad and killed two women. Two men and two more women were wounded in the attack. The motive behind the killings was not clear. #3: Another two people were wounded when a magnetic bomb exploded in Karrada, a busy commercial district in the capital. One policeman and two civilians were wounded when a sticky bomb attached to their car went of in southern Baghdad. “The blast occurred late last night at the al-Sayyediya neighborhood, southern Baghdad,” a local security source told Aswat al-Iraq news agency on Monday. #1: A roadside bomb hit on Monday a U.S. patrol by southwest of Kirkuk city, leaving no casualties. “The blast occurred near the al-Nassir Village, 45 km southwest of Kirkuk,” a local security source told Aswat al-Iraq news agency. #1: Iraqi gunmen killed two civilians in the main northern city of Mosul on Sunday. Machine gun fire felled one civilian outside his home in the overwhelmingly Sunni Arab west of the city, police said, without giving further details on the victim's identity. #2: A second civilian was killed when gunmen stormed a home appliances store in the ethnically mixed east of the city, close to the ruins of ancient Nineveh, they added. #3: The army engineer was killed and a second wounded as they tried to make safe an improvised bomb planted by insurgents in the Sahaba neighbourhood in the west of the city. #4: A car bomb went off near an Iraqi army checkpoint, wounding a soldier, in northern Mosul, 390 km (240 miles) north of Baghdad, police said. #1: An Afghan police official said on Monday that eight civilians were killed in a NATO raid in the southern province of Kandahar, but the alliance claimed the victims were Taliban fighters. The military attacked two houses early Monday morning in Bagh—e—Pul area of Kandahar City, Mohammad Shah Farooqi, the deputy provincial police chief, said. Mr. Farooqi said there was no evidence to show that the men inside were involved in any “anti—government activities.” But NATO said its troops assisted by Afghan forces killed “a Taliban commander and several armed individuals” during the raid. "The Afghan—led security force went to a compound outside Kandahar City to search the area and was immediately engaged by hostile fire,” it said. “Afghan and coalition forces returned fire in self defence and killed several armed individuals including Khan.” One suspect allegedly involved in transporting bombs to Kabul was arrested, NATO added. #2: Four civilians were killed and four injured when their minivan was struck by a roadside bomb in southern Afghanistan Monday, a police official said. The vehicle was en route to the capital of Ghanzi province from Andar district Monday morning when it was blown up by the mine, Khial Baz Sherzai, the provincial police chief, said. The four wounded were evacuated to a provincial hospital, he said. Their condition was critical. #3: At least two NATO oil tankers were torched near Chaman in Pakistan's southwestern province of Balochistan on Monday morning, reported local media. The incident happened at around 8 a.m. (local time) Monday at the border area of Spin Boldak near Chaman, a city in the northern part of Balochistan, which borders Afghanistan, when some unknown gunmen attacked the NATO oil tankers and set them on fire. Police sources said they had arrived at the scene shortly after the attack was reported and firemen were still trying to extinguish the fire. No people were killed in the attack as the drivers ran out of the trucks carrying oil tanks, said police, adding the attackers had run away. #4: A US drone fired two missiles into a militant compound in Pakistan's northwestern tribal belt on Sunday killing at least five militants, Geo News reported Sunday. The missiles targeted a militant compound on the outskirts of Miranshah, the main town in the North Waziristan area. #5: Afghan and ISAF forces clashed with Taliban insurgents on Monday in an area of eastern Kunar province where both sides suffered some casualties a day earlier, officials said. #6: At least a dozen of militants were killed and six others injured Monday in retaliatory actions when they attacked a security check post in northwest Pakistan's Orakzai tribal area, local sources said. The incident took place when a group of militants early in the morning attacked a check post in Dabori area of Upper Orakzai, leaving at least six security personnel injured. #7: On Sunday eight militants were killed in the area. In Orakzai Agency, adjacent to Pakistani settled districts but not to Afghanistan, Pakistan army has announced victory several weeks ago but clashes between the security forces and terrorists frequently took place in the area. Three separate sticky bomb attacks result in 1 death, 3 injuries. One of the targets was a government vehicle, the other the personal vehicle of a government employee. This account assigns slightly different identities to some of the victims, in particular that one of the vehicles was a police car. One police officer killed, 5 injured, in a roadside bomb attack. Jalal Talabani makes an unannounced visit to Jordan, for talks with King Abdullah. The description of the subject matter of the talks is vague. The military authorized more than a hundred burn pits in Iraq and Afghanistan. The largest were operated by private contractors Halliburton and KBR, designed to burn everything from military equipment to medical supplies, batteries and hazardous waste. Vanderbilt University Medical Center's Dr. Robert Miller of is treating more than a dozen soldiers exposed to burn-pit smoke. "I don't think there's any doubt that the burn pits emit toxins," said Miller. "It's a solid waste burning. It's a practice that's essentially outlawed in the United States." Iraqi Supreme Court orders the release of journalist Riyadh Qassim, who had been held on terrorism charges. His arrest provoked protest within the Iraqi media; it appears to have been politically motivated. And what do you know, see the next story. Under American stewardship, Iraq has become one of the half-dozen most corrupt nations on earth. "Significant widespread corruption" afflicts "all levels of government," the State Department says. Nothing can so quickly cripple a democracy as the need by the nation's leaders to protect their cash flow and hide all evidence of their thefts. That leads, at least, to electoral fraud and press censorship. How can corrupt officials survive if the press is free to report on their misdeeds? "We are controlled and censored," Faris Fadhil Sultan told me. He's a reporter for Al Arabiya television in Iraq. "The government can exert its will on reporters through criminal charges or suspension from work, even kidnapping and killing." 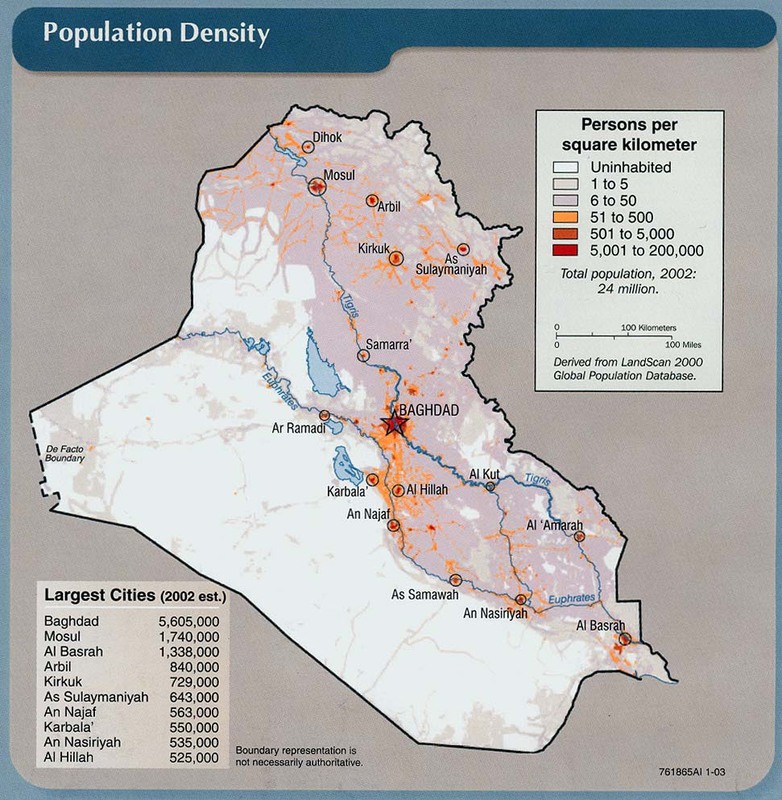 Almost a fifth of Iraq's population are refugees or internally displaced, and almost half live in abject poverty - despite $53 billion in "aid" spent since the 2003 invasion (funds that lined the pockets of foreign military contractors and corrupt officials but left 70 percent of Iraqis without potable water or predictable electricity). A once secular, highly educated and cosmopolitan society has been torn apart by sectarian violence. Extremist militias, empowered by the post-invasion power vacuum, still terrorize women, gays and religious minorities. Few can afford to flee their country, which is racked by ongoing insecurity and ruled by a puppet regime (although whether Iran or America pulls the strings is a matter of some debate) from behind the walls of the green zone. Yet the stories of the people of Iraq are virtually absent in mainstream media reports. The ongoing humanitarian disaster is ignored while invasion apologists promote a corrupt pseudo-democracy as a perverse example of "mission accomplished." I have been visiting Baghdad since 1997, and most Iraqis seem as cynical about the new regime as they were about the old one. With Iraq now ranked the fifth most corrupt country out of 180 studied by Transparency International, and with no laws on campaign financing, with incumbents who used state funds to further their own campaigns and imprisoned opponents on trumped-up charges of terrorism and with government ministers maintaining their own private militias, democracy remains as elusive as ever. Not to mention the lack of electricity. Sakandar Shah Mohammadi, head of Al Berooni School in Qara Bagh district of Ghazni province was beheaded Saturday, the education ministry said in a statement. On the same day, dozens of militants, riding on motorbikes, came to Zardalo area of the district and torched two elementary schools, Muhibullah Khepilwak, district governor, said. One of the schools was a girls' school and the other for boys. KABUL - Two service members with the NATO-led International Security Assistance Force (ISAF) were killed on Sunday in a small arms attack in eastern Afghanistan, the alliance said. PAKTIKA - Fifteen insurgents were killed on Saturday by the premature explosion of a bomb they were assembling at a mosque in southeastern Paktika, the Afghan interior ministry said. Eight of the militants killed were Arab, while five were from Paksitan and the other two were Afghans, it said. HELMAND - A premature explosion of a mine killed four insurgents in southern Helmand on Saturday, the ministry said separately. URUZGAN - Two Afghan civilians were killed and five wounded on Saturday when a suicide bomber tried to target the acting governor of southern Uruzgan province, the ministry said. KABUL - An ISAF member died following an improvised explosive device (IED) attack in southern Afghanistan on Saturday, the alliance said in a statement. NATO claims to have killed 8 Taliban, including a commander, in an airstrike in Kunduz; and to have killed 8 more insurgents in an operation in Ghazni. Two Canadian soldiers killed on Friday are identified. Master Cpl. Kristal Giesebrecht of Wallaceburg, Ontario and Pte. Andrew Miller of Sudbury , Ontario were part of a unit dispatched to deal with a mine found in the doorway of a home when their vehicle detonated an improvised explosive device. Giesebrecht, 34 and Miller, 21 were both medical technicians attached to the 1st Battalion, The Royal Canadian Regiment Battle Group. As night fell, [Lt. Matthew] Bennett sat down in the light of a kerosene lamp with a group of villagers at a small shop. The questions kept coming. "You said you want to help, us but what about roads and schools?" asked one man. Another man said he felt threatened when U.S. helicopters flew overhead. Aside from dealing with the Taliban's military tactics and ferocity, NATO soldiers have to contend with a range of other issues in order to win over Afghans. Villagers told Bennett they appreciate American efforts to secure the area but said troops had to pay closer attention to cultural sensitivities. Soldiers manning machinegun turrets on the tops of armoured vehicles had a view of women in houses and something had to be done, they said. Obama sided with McChrystal, Petraeus and Clinton (as well as Defense Secretary Robert Gates), agreeing to triple the U.S. troop levels to about 100,000. In the months that have passed, the levels of American casualties have jumped but the prospects for victory (or some modicum of success) remain stuck in a deepening quagmire. Now, with some indiscreet comments to Rolling Stone magazine, McChrystal has managed to get plucked from the swamp as if some “deus ex machina” derrick from a Greek tragedy had appeared magically behind stage and lifted the hero out of an impossible situation. Obama now has turned to what might be called “Petraeus ex machina” to salvage his benighted strategy in Afghanistan, but this new device is unlikely to lift the larger military cause out of grave danger. Instead, many of the U.S. troops committed to this dubious plan seem doomed in what is becoming a real-life tragedy. NATO is reporting the deaths of two ISAF soldiers in an IED attack in an undisclosed location in southern Afghanistan on Saturday, June 26th. NATO is reporting the death of an ISAF soldier in an IED attack in an undisclosed location in southern Afghanistan on Friday, June 25th. NATO is reporting the death of an ISAF soldier in an IED attack in an undisclosed location in southern Afghanistan on Saturday, June 26th. #1: An Iraqi army officer and a civilian were wounded when an improvised explosive device (IED) attached to the officer’s vehicle went off in western Baghdad on Friday, a police source said. “Lt. Colonel Nasr Salem was wounded when an IED attached to his vehicle went off in the area of Ali al-Saleh, western Baghdad,” the source told Aswat al-Iraq news agency. “A civilian man who happened to be passing near the blast scene was also wounded,” he added, noting the explosion also left severe damage to the vehicle. #1: Unidentified gunmen on Friday kidnapped two employees of the Iraqi oil ministry near a village in the town of Jalawlaa, according to a police source in Diala. “Unidentified gunmen set up a fake checkpoint near the village of Wadi al-Asaj, Jalawlaa, (30 km) southwest of Khanaqin district, and led two oil ministry employees to an unknown place,” the source told Aswat al-Iraq news agency. #1: A military force found 11 unidentified bodies in an area near the district of Samarra on Friday, according to a senior police official. “The bodies were found buried inside an abandoned area of wells in al-Hilweh neighborhood, (35 km) southwest of Samarra,” Lt. Colonel Khaleel Ahmed, the commander of the Salah al-Din Emergency Police Department’s 2nd Contingent, told Aswat al-Iraq news agency. #1: Police forces on Saturday seized a car bomb driven by four persons in the al-Dujail district. Explosive belts were found inside the car. “The four people were arrested,” a local police source told Aswat al-Iraq news agency. He noted that the car bomb was defused. #1: A roadside bomb went off near an Iraqi army patrol wounding four people, including two soldiers, in eastern Mosul, police said. #2: A roadside bomb killed a policeman and wounded five others when it exploded near their patrol in western Mosul, 390 km (240 miles) north of Baghdad, police said. #1: Unidentified gunmen attacked two jewelry stores in the city of Fallujah in Anbar province on Saturday, killing two store owners and wounding three people, a provincial police source said. Six armed men stormed the two jewelry stores at about 9:30 a.m. (0630 GMT) in the al-Neziza marketplace in central Fallujah, some 50 km west of Baghdad, and stole unknown amount of jewels and cash before they traded fire with stores workers, the source told Xinhua on condition anonymity. Gunmen raided a jewelry shop Saturday morning in western Iraq (web news) , killing four people before fleeing with a large amount of gold, officials said. Police and hospital officials said six attackers used handguns fitted with silencers during the heist in Fallujah, 40 miles (65 kilometers) west of Baghdad. The victims were believed to have been the owners of the shop, police said. #1: An Afghan army driver was killed when an anti-personnel mine in his vehicle accidentally detonated on Saturday, police said. The blast, near Afghanistan's foreign ministry, was initially thought to have been caused by a suicide bomber or taliban attack. #2: A U.S. missile strike on Saturday killed two suspected militants in a Pakistani tribal region that is considered a base for insurgents accused of attacking Western troops across the border in Afghanistan, officials said. The missile, which was fired from an unmanned drone, flattened a house near North Waziristan's Mir Ali town, said two intelligence officials on condition of anonymity as they were not authorized to speak to media on the record. They said one of the men was foreign. The United States frequently uses missile strikes to target Taliban and al-Qaida operatives in Pakistan's northwest, especially the lawless tribal regions near the Afghan border where many insurgents hide. #3: Eight Taliban militants were killed in Afghanistan's restive northern Kunduz province Saturday morning as a result of airstrike against the militants' hideouts, provincial police chief said. "A precision airstrike against militants' hideout in Bagh-e- Shirkat area in the vicinity of Kunduz city capital (OOTC:CTCC) of Kunduz province left eight rebels including their commander Mullah Usman dead,"Mohammad Razaq Yaqubi told Xinhua. He said that several Taliban militants were also injured in the attack took place at around 08:00 a.m. local time. NATO is reporting the death of an ISAF soldier in an "insurgent attack" in an undisclosed location in eastern Afghanistan on Friday, June 25th. NATO is reporting another death of an ISAF soldier in an IED attack in an undisclosed location in southern Afghanistan on Thursday, June 24th. #1: “A bomb, stuck to a civilian car, went off late Thursday (June 24) in al-Atifiya region in northern Baghdad, injuring the driver and four passing civilians,” the source told Aswat al-Iraq news agency. #2: “Another bomb exploded in al-Ameriya region, western Baghdad, wounding four civilians, who were taken to a nearby hospital for treatment,” he added. #3: A roadside bomb wounded two civilians late on Thursday in Baghdad's eastern Zayouna district, police said. #1: A roadside bomb exploded near a bus carrying Iranian pilgrims in Muqdadiya, 80 km (50 miles) northeast of Baghdad, wounding two people including one pilgrim, police said. #1: Gunmen kidnapped engineer Bassim Hussein in south Kirkuk. Hussein is an architect engineer working for the local government. #2: A roadside bomb explosion targeted police patrol in Kirkuk city. The explosion injured an Iraqi air force officer and his daughter as he was driving by in his civilian car. #1: One civilian was wounded on Thursday in an improvised explosive device blast in western Mosul, a security source said on Thursday. #1: A Katyusha rocket landed in a vacant spot in the area of al-Ma’arid, western Talafar district, Mosul city, on Thursday, but left no casualties, an Iraqi official police source said. “The rocket only left minor material damage,” the source told Aswat al-Iraq news agency. #1: A suicide bomber blew himself up as police closed in on him in Khaldiya, 83 km (50 miles) west of Baghdad, police said. No one was hurt. #1: An Afghan soldier has been killed while fighting alongside Australian troops in southern Afghanistan. The soldier was part of a patrol group that came under fire earlier this week. No Australian soldiers were wounded in the fighting. #2: A bomb blast destroyed two Nato oil tankers on the outskirts of Peshawar and several vehicles were in flames, reports quoted police as saying. The tankers were carrying fuel to western forces in Afghanistan. Fire-fighters had taken control of the blaze in the Shamkali area. No casualty was reported. Meanwhile, some suspects had been arrested from the scene, police said. #3: The bodies of 11 men, some beheaded, were found Friday in the southern Afghan province of Uruzgan, police said. Deputy provincial police chief Mohammad Khan said a villager in the Bagh Char area of Khas Uruzgan district spotted the bodies in a field and called police. "They were killed because the Taliban said they were spying for the government, working for the government," he said. The acting Uruzgan governor, Khudia Rahim, said five or six of the 11 victims had been beheaded. #4: Farther south in Kandahar province, a joint force of Afghan security forces and international troops killed a midlevel Taliban commander and other insurgents Thursday who were planting a roadside bomb near the provincial capital, NATO said. Some of the insurgents were killed by a coalition airstrike, NATO said. #5: At least 10 militants were killed Friday morning in retaliation of Pakistani security forces in troubled Lower Orakzai tribal area, northwest Pakistan, local media reported. Militants attacked a security checkpoint in the area injuring two troops in the early morning incident, according to the private TV DAWN News. #6: An ISAF helicopter was involved in a hard landing June 25 in Kunar province in eastern Afghanistan. There were no fatalities in the incident, and all personnel on board have been evacuated to nearby ISAF medical treatment facilities. The British MoD is reporting the deaths of four British ISAF soldiers in a vehicle accident near Gereshk, Helmand province, Afghanistan on Wednesday, June 23rd. The DoD is reporting a new death previously unreported by the military. 1st Sgt. Eddie Turner died from an unreported non-combat related incident at Camp Clark, Afghanistan on Tuesday, June 22nd. The Romanian MND is reporting the deaths of two Romanian ISAF soldiers in a roadside bombing while on a supply mission on route A1 Kabul-Kandahar presumably in southern Afghanistan on Wednesday, June 23rd. The Italian MoD is reporting the death of an Italian ISAF soldier in a vehicle mishap near Shindand, south of Herat, Herat province, Afghanistan on Wednesday, June 23rd. NATO is reporting the death of an ISAF soldier in an IED attack in an undisclosed location in eastern Afghanistan on Wednesday, June 23rd. #1: In the capital, two roadside bombs targeting a police patrol in the Palestine Street neighbourhood killed two police and wounded eight people, four of them police, the interior ministry said. #1: In Diyala province, another ethnically mixed jihadist stronghold further south, militants killed two anti-Qaeda militiamen, security officials said. Four armed assailants stormed the home of the militiamen in the province, just north of Baghdad, in the early hours of the morning and seized the two brothers aged 20 and 22, operations command in the provincial capital Baquba said. The two men's bodies were found a few hours later dumped by the roadside in the desert Udhaim area in the west of the province, riddled with bullets, blindfold and with their arms bound. #1: A bomb targeting the convoy of a high-ranking police officer left five people including body guards injured in the city of Kirkuk, 250 kilometres north of the capital of Baghdad. #1: The first attack occurred when a suicide bomber blew himself up at a police checkpoint, killing four policemen and wounding four others, in a western part of Mosul, 390 km (240 miles) north of Baghdad, police said. #2: Two other suicide bombers attacked the main gate of an Iraqi army base in eastern Mosul, killing one soldier and wounding five, an army source said. #3: On Wednesday night, gunmen killed three policemen at another checkpoint in the west of the city, police said. The gunmen struck at around 10:00 pm (1900 GMT) in a neighbourhood inhabited by economists, most of them government employees. #4: Two civilians were wounded on Wednesday in a hand grenade explosion in central Mosul, according to a security source. “Two civilians were wounded on Wednesday (June 23) in a hand grenade explosion which targeted a police vehicle patrol in al-Kourniesh street in central Mosul,” the source told Aswat al-Iraq news agency. #5: Three policemen were killed on Thursday by gunmen in western Mosul, according to a source from the Ninewa Operations Command. “Five gunmen killed three policemen early Thursday (June 24) when they attacked a checkpoint in al-Iqtesadiyeen neighborhhod, western Mosul,” the source told Aswat al-Iraq news agency. “They fled to unknown place,” he added. #1: West of Mosul, in the town of Tal Afar, security forces thwarted an attempted suicide bombing on Thursday morning, police said. The would-be bomber tried to blow up his car in a livestock market in the town, which has a large Shiite Turkmen community. But officers spotted him, and shot and killed him before he could detonate his payload. #1: Police forces managed on Wednesday to foil an attack on an officer’s house in eastern Falluja, a police source said. “Unknown gunmen planted a number of bombs around an officer’s house in central al-Karma district in eastern Falluja,” the source told Aswat al-Iraq news agency. “Security forces managed to defuse the bombs and started to crackdown the attackers, who fled to unknown place,” he added. #1: Seven Afghan construction workers were killed in a roadside bomb attack in central Afghanistan, the government said Thursday. The group of workers for Qaher Afghan Road Construction Co. was traveling in Uruzgan province on Wednesday when their vehicle was hit by a remote-controlled bomb, the Interior Ministry said in a statement. All the passengers were killed. #2: At least 12 militants were killed while four others were injured during security forces’ operation here Thursday. According to sources, fighter jets bombed militants’ hideout that killed 12 militants and wounded four in Ghudagai region (North Waziristan) of Orakzai Agency.Security forces also destroyed four of militants’ hideouts during the operation. #3: Afghan and foreign troops killed 20 Taliban fighters in a raid in eastern Nuristan province on Wednesday, a provincial official said. #4: Over a dozen Taliban insurgents were killed as troops stormed their hideout in Kandahar province south of Afghanistan, police said Thursday. "Afghan and NATO-led forces stormed a hideout of Taliban rebels in Jalai district on Wednesday. As a result, 15 militants were killed and three others made captives," deputy to provincial police chief Fazal Ahmad Shirzad told Xinhua. MNF-Iraq (OIF) is reporting the death of a Multi-National Division - Baghdad soldier from a non-combat related injury in an undisclosed location in Iraq on Monday, June 21st. NATO is reporting the deaths of two ISAF soldiers in an IED attack in an unidentified location in eastern Afghanistan on Monday, June 21st. NATO is reporting another death of an ISAF soldier from small arms fire in some unknown province in eastern Afghanistan on Monday, June 21st. NATO is reporting the death of an ISAF soldier in an IED strike in an unidentified location in western Afghanistan on Wednesday, June 23rd. NATO is reporting the death of an ISAF soldiers in an IED attack in an unidentified location in southern Afghanistan on Tuesday, June 22nd. NATO is reporting the death of a second ISAF soldiers in an IED attack in an unidentified location in southern Afghanistan on Tuesday, June 22nd. NATO is reporting the death of an ISAF soldier from small arms fire in some unknown province in southern Afghanistan on Tuesday, June 22nd. NATO is reporting the death of an ISAF soldier in an "insurgent attack" in an undisclosed location in southern Afghanistan on Monday, June 21st. #1: A man and his wife were wounded when a sticky bomb attached to their car went off on Wednesday in western Baghdad. “The blast occurred in al-Yarmook neighborhood, western Baghdad,” a local police source told Aswat al-Iraq news agency. #2: Iraqi police forces defused on Wednesday roadside bombs that were planted under power towers in western Baghdad. #1: Two policemen were wounded on Tuesday in a bomb explosion in south of Kirkuk, a security source said. “A n explosive charge went off on Tuesday (June 22) targeting a convoy of a former member of the parliament, chief of al-Touz police and director of the Kirkuk emergency police department, injuring two policemen,” the source told Aswat al-Iraq news agency. #1: A senior police officer escaped an attempt on his life on Tuesday when a bomb exploded targeting his motorcade in southwest of Kirkuk, a police officer said. “An explosive charge went off on Tuesday evening (June 22) targeting the motorcade of the director of the police department of al-Multaqa district in southwest of Kirkuk, Colonel Adnan Abdullah,” Brig. Sarhad Qader told Aswat al-Iraq news agency. “The blast damaged one of the motorcade’s vehicles, and caused no casualties,” he added. #1: Two women and a man were killed by a sticky bomb explosion in eastern Mosul, a police source said. “A bomb, stuck to a civilian car, exploded in al-Kuweer street in eastern Mosul, killing a man and two women onboard,” the source told Aswat al-Iraq news agency. #2: Three people from one family were killed and three others of the same family were wounded when a U.S. vehicle ran them over in the northwest of Mosul city. “The incident occurred yesterday evening, on the highway northwest of Mosul city,” a local security source told Aswat al-Iraq news agency on Wednesday. He noted that the family’s father and mother died in the incident, in addition to their daughter. #1: Afghan and international troops killed a "large number of insurgents" during an offensive this week, NATO's International Security Assistance Force said on Wednesday. Foreign fighters and several leaders for both the Haqqani network and the Taliban were among those killed in the operation, in Jani Khel district of Paktiya province, located in eastern Afghanistan near Pakistan. The security force killed a Haqqani network commander from Khost province named Hamiddullah, the military said. He had ties to Haqqani senior leadership based in Pakistan. He was believed to be responsible for an ambush of an Afghan National Army unit that left three Afghan police dead in March. Troops also killed Qari Ismael, a Taliban leader for Jani Khel district, and Maulawi Sadiq, a known facilitator for foreign fighters. Arabs, Uzbeks, Turks and Chechens were among those killed, according to officials and village elders, and troops say they were integrated into the ranks of the Taliban and the Haqqani network. No coalition forces were injured or killed, the military said. #2: Continuing its offensive in the Federally Administered Tribal Areas' (FATA) Orakzai agency, Pakistani security forces have reportedly killed 43 more Taliban militants in the region. According to reports, extremists attacked security forces in the Sawar Kot area in the Upper Orakzai Agency ensuing in a fierce gunbattle in which 12 soldiers were also injured. Sources said that at least five more terrorists were also killed in separate incidents in the Swat Valley. In a major success for the security forces, a close aide of Swat Taliban chief Mullah Fazlullah, Muhammed Ilyas was killed in a gunfight with troops in Gat Papuchar area of Matta tehsil. Three other militant commanders were also killed in clashes with security officials in Miandam area. A huge cache of arms and ammunition was also recovered from them, The Daily Times reports. #3: One civilian was killed and seven others injured as a mine planted by militants went off in Helmand province, police said Wednesday. "The device was exploded by remote control in a bazaar of Gereshk district on Tuesday afternoon killing a tribal elder and wounding seven others, all innocent civilians," district police chief Zamai Khan told Xinhua. #4: Furthermore, the militants in the neighboring Zabul province fired six rockets on the same day Tuesday. "The insurgents fired six rockets in Shahjoi district late last night but fortunately caused no loss of life," spokesman for provincial administration Mohammad Jan Rasoulyar told Xinhua. #1: a roadside bomb apparently aimed at a convoy carrying a senior Transportation Ministry official missed its target and killed two bystanders instead. The 8 a.m. blast occurred in the mainly Sunni area of Dora, a former insurgent stronghold in southern Baghdad. Abdullah Loaebi, the director-general of the ministry's private transportation department, was unharmed, but police and hospital officials said two people were killed and eight others wounded. #2: A roadside bomb also struck near the office of a Shiite religious party in Baghdad, wounding 10 people, including eight guards, according to police and hospital officials who spoke on condition of anonymity because they weren't authorized to release the information. #1: A bomb attached to a car carrying the leader of an anti-al-Qaida Sunni group later exploded in Buhriz, a former Saddam Hussein stronghold about 35 miles (60 kilometers) north of Baghdad in Diyala province. Maj. Ghalib al-Karkhi, a police spokesman for Diyala, said the blast killed Raad al-Mujamai, the leader of the so-called Awakening Council in a nearby village. #2: A motorcycle bomb targeting an Iraqi army patrol exploded in the Diyala provincial capital of Baqouba, wounding eight civilians. #1: A mortar shell hit al-Hadbaa Faculty in Mosul without causing casualties, a police source said on Monday. “The shell landed on the external fence of the al-Hadbaa Faculty building in eastern Mosul, causing only material damage,” the source told Aswat al-Iraq news agency. #2: One civilian was killed on Monday by gunmen in western Mosul, a police source said. “Unknown gunmen shot and killed a civilian in Tal al-Rouman region in western Mosul on Monday (June 21) and fled,” the source told Aswat al-Iraq news agency. #1: A Katyusha rocket hit on Monday a house in northern Talafar in western Mosul, without leaving casualties, an official police source said. “The rocket hit the house in al-Nour neighborhood in northern Talafar, without causing casualties,” the source told Aswat al-Iraq news agency. #1: One civilian was killed on Tuesday when a bomb that was put inside his car went off in central Falluja city. “The civilian died instantaneously,” a local police source told Aswat al-Iraq news agency. He did not mention further details, but noted that the car was heavily damaged. #1: A bomb hit a truck in Kishk-e-Kuhna district in Herat province, killing five civilians and injuring three others Monday, a police spokesman said. #2: A man and his wife riding a motorbike were killed by an explosion in Pasawand district of Ghor province Monday, the Interior Ministry said. #3: Airstrikes against Taliban militants left 25 insurgents dead in Afghanistan's eastern Paktika province Monday night, a statement of NATO-led forces released in southeastern region on Tuesday said. It said that based on intelligence report which indicated armed militants' activities in Urgon district of Paktika province aircraft was called in during which 25 militants including some foreign fighters had been killed but the statement did not disclose their nationalities. #4: In separate incident six Taliban militants were killed as police forces repealed their attacks on police outposts in Jani Khil district of the same province Paktika on Monday night, a police officer who declined to be named told Xinhua. The official also said that a policeman was also injured in the gunfights lasted for a while. #5: A female suicide bomber wounded 18 people including three police officers in an attack on a police check post in the Shigal district of eastern Kunar province on Monday, the Interior Ministry said. #6: Three would-be-suicide bombers were killed when their suicide vests went off in the Marjah town of southern Helmand province on Monday, Interior Ministry said. #7: A roadside bomb organized by militants wounded the head of the provincial council and his son in Afghanistan's western Farah province on Tuesday. "The incident occurred at 07:30 a.m. local time. As a result, Nazir Khidmat the head of Provincial Council of Farah province and his son were injured," deputy to provincial governor's administration Mohammad Yunus Rasouli told Xinhua. The British MoD is reporting the death of a British ISAF Marine from an IED attack in a hospital in Birmingham, UK, on Sunday June 20th. He was originally wounded in the Sangin district, Helmand province, Afghanistan on Saturday, June 12th. NATO is reporting the deaths of two ISAF soldiers in separate IED attacks in unidentified locations in southern Afghanistan on Monday, June 21st. NATO is reporting the deaths of four ISAF soldiers in a helicopter crash in an undisclosed location in southern Afghanistan on Monday, June 21st. The Australian DM announced that three of the four were Australian soldiers and the fourth is an American according to a U.S. spokesman. seven other Australian soldiers were wounded. There's no statements on the other four passengers of the helicopter but we assume they were Americans and wounded in the crash. Here's an amusing video on the BP oil spill. #1: One civilian was seriously wounded when a bobby-trapped motorcycle went off on Monday in central Baiji district. “The blast occurred today noon in central Baiji, 40 km north of Tikrit city,” a local police source told Aswat al-Iraq news agency. 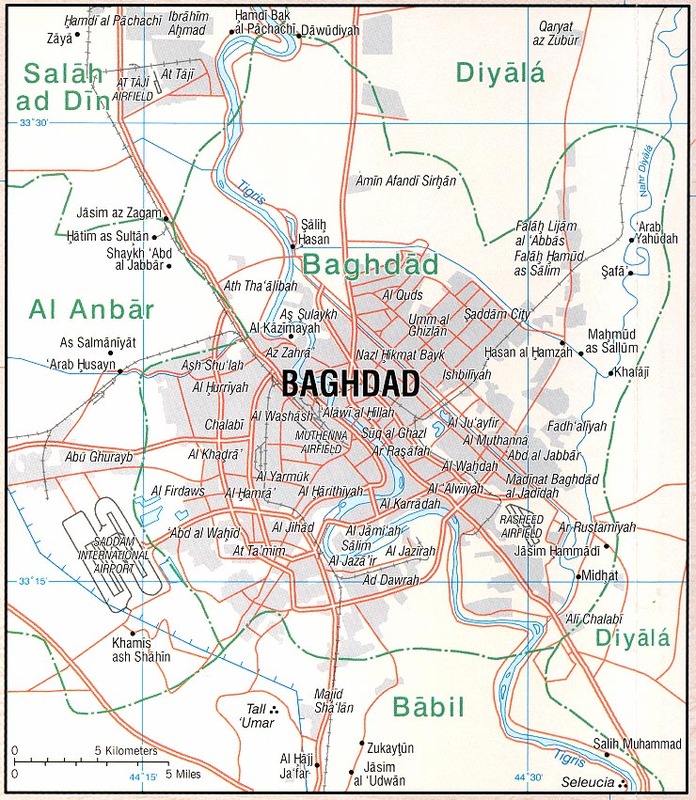 Six civilians were wounded when explosives attached to a motorbike detonated in a market in Baiji, 180 km (112 miles) north of Baghdad, police said. #1: One civilian was killed on Monday by gunmen’s fire west of Mosul city. “Armed men around noon today gunned down a civilian before his house at al-Zenjeeli area, west of Mosul,” a local police source told Aswat al-Iraq news agency. #1: Elsewhere, a spokesman for the Wardak provincial police, Wakil Sherzai, said the Taliban beheaded the acting chief of the province's district of Sayyed Abad. Gunmen seized the man at his home four days ago and his body was found Monday. #2: Two Afghan policemen were killed and two were wounded Monday by a roadside bomb in the Nad Ali district of Helmand province, the Interior Ministry said. #3: A dozen militants ambushed a Pakistani military patrol in the northwestern tribal badlands Monday, killing three soldiers and sparking deadly clashes, officials said. The incident took place in Kasha village in Orakzai, the district where the military said on June 1 that major combat operations as part of an anti-Taliban offensive were over. "Three soldiers of the Frontier Corps were killed and five others wounded in the attack," an official from the paramilitary told AFP. Around a dozen militants attacked the convoy, triggering a gunfight which killed more than 10 rebels, the official added. #4: Six Afghan soldiers were killed and four wounded in explosions in southern Zabul and eastern Nangarhar provinces, the Defence Ministry said. #5: One Afghan civilian was killed and another wounded when an old landmine exploded in the remote northeastern province of Badakhshan on Saturday, the Interior Ministry said. A woman shouts following twin car bombs in Baghdad. Suicide bombers in two cars killed 26 people and wounded 53 in the Iraqi capital when they drove down a crowded street and blew themselves up simultaneously. (AFP/Khalil al-Murshidi) Note: accounts of precisely what happened vary. Twin car bombs in Al-Yarmuk reportedly kill 26, injure 53. The bombs were parked near government offices that issue passports and identity cards, and many of the victims were waiting in line. A traffic police office is also nearby and many traffic police were also among the killed and injured. A branch of the Iraqi Commercial Bank was also damaged. Accounts are confusing, however, in that Baghdad security spokesman Major General Qassim al-Moussawi says the attackers were suicide bombers whose target was the bank, while reports generally say the cars were parked some distance apart from each other. The linked account makes both assertions in consecutive paragraphs without clarifying. Decomposing bodies of 6 women and 2 men are found in a suspected brothel Zayouna district. Islamists enforcing moral strictures are suspected. Three roadside bombs in Hurriya, a Shiite neighborhood in the north of Baghdad, kill 4 and injure 16 late Saturday. Also, Katyusha rockets kill 3 and injure 5 in Al-Obeidi. These incidents occurred too late for yesterday's post. A man is killed and his wife injured by an apparent sticky bomb near Nissor Square. Turkish air strikes kill a teenage girl, injure her mother and younger brother. 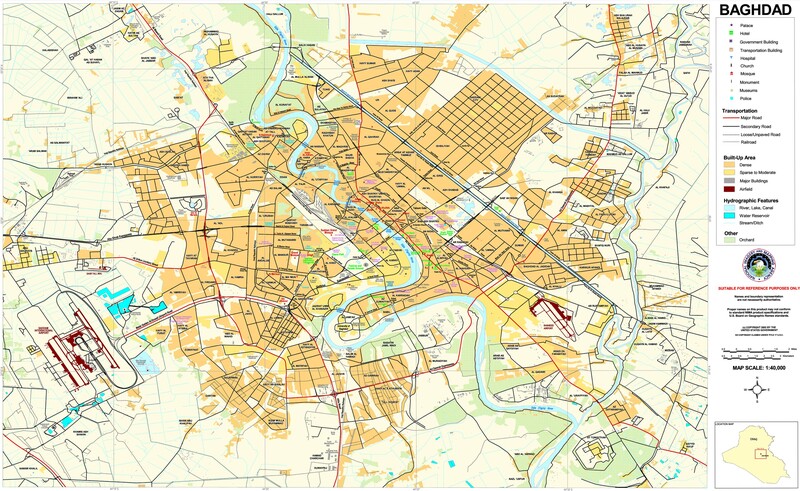 The bombing was said to begin at 8:30 pm and last about 90 minutes, with attacks on seven villages. See below for developments in Turkey following recent clashes with PKK fighters. The air strikes are accompanied by a ground incursion as Turkish forces advance 10 km into Iraqi territory in the Quandil mountains. There are reports of additional casualties but it is not clear whether they are fighters or civilians. According to some accounts, the civilian casualties noted in the above story were the result of ground fire rather than air strikes. One killed, 3 injured when police fire at demonstrators protesting lack of electricity and potable water. "What happened this morning is because of the fake promises by the government to improve the essential services," said Hameed al-Timimi, a protester and Basra resident. "This is not just a problem in Basra, it is all over Iraq." Body of an Iraqi soldier found in a parked car. Separatist violence generally increases in southeast Turkey in the spring as the guerrillas cross the border from Iraq and there has been a notable escalation in the last two months. Military sources said on Sunday one Turkish soldier was killed and one injured overnight in a Kurdish rebel attack on a military outpost in the southeastern province of Elazig. They said the militants threw a hand grenade at the base before opening fire with rifles in the Palu district of Elazig. The PKK, branded terrorists by Turkey, the United States and the European Union, said this month they had scrapped a year-old unilateral ceasefire and resumed attacks against Turkish forces because of military operations against them. The ceasefire had come as Erdogan's government worked on plans to boost Kurdish rights to help end the conflict. However, the process has faltered and it suffered a setback in December when the Constitutional Court banned the pro-Kurdish Democratic Society Party (DTP) over links to the PKK. At Checkpoint 3, about 20 American soldiers live in small tents with Kurdish peshmerga fighters and Iraqi soldiers, and help supervise the control of traffic into the town. Khazna, which had previously been protected only by a single peshmerga guard post, was the scene in August of a double suicide truck bombing that killed 35 people as they slept. Many residents feel reassured by the new post's heavy fortifications, said peshmerga Sgt Maj. Rashid Suleiman. But he worries about what will happen to the new relationship between Iraqi and Kurdish forces when the U.S. troops eventually leave. ''There are no tensions between us now, but having the U.S. here to supervise us is a big boost,'' he said. 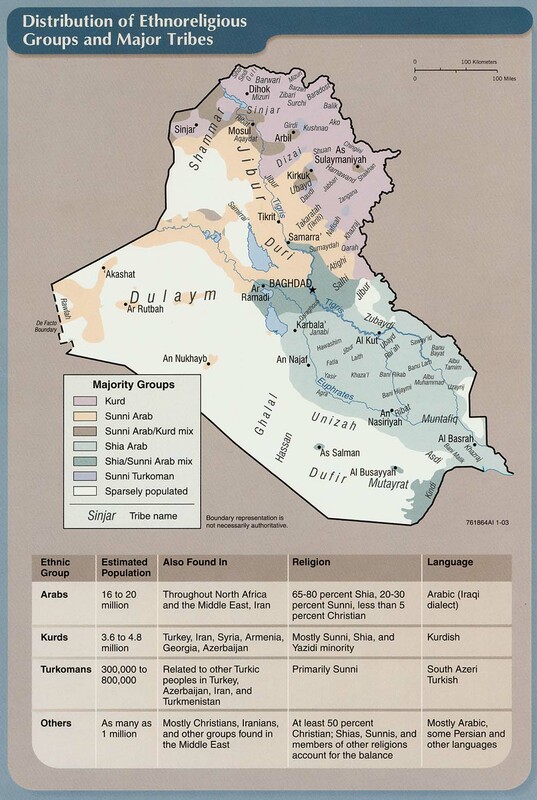 At stake is a belt of territory hugging the border of the self-governing region of Kurdistan. 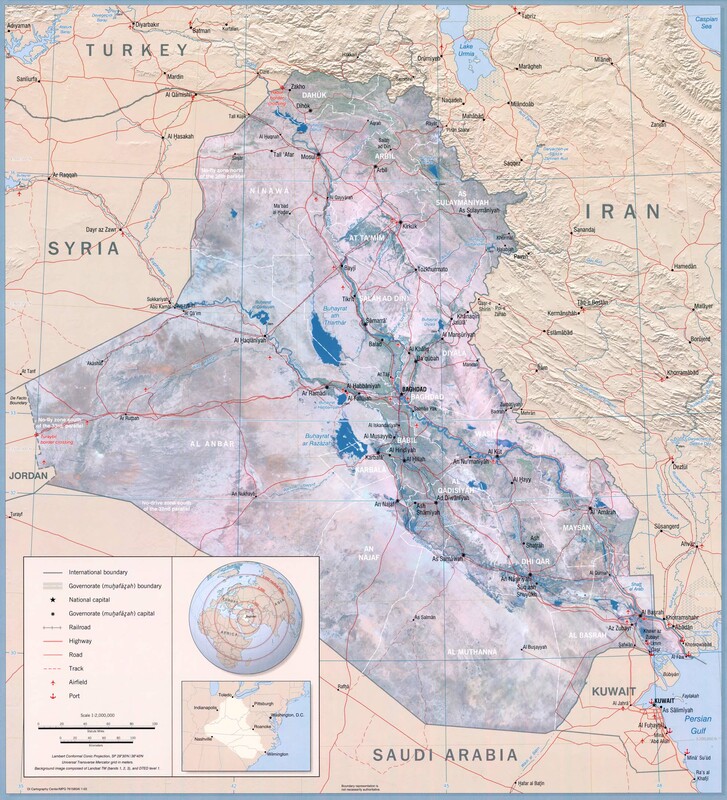 Occupied in 2003 by the Kurds, who want it to be annexed to Kurdistan, the disputed territory includes the oil-rich city of Kirkuk, as well as this hotly contested part of northern Nineveh province that last year teetered on the edge of outright war. . . . But no progress has been made on bringing an end to a yearlong Kurdish boycott of Nineveh's Arab-controlled provincial government. 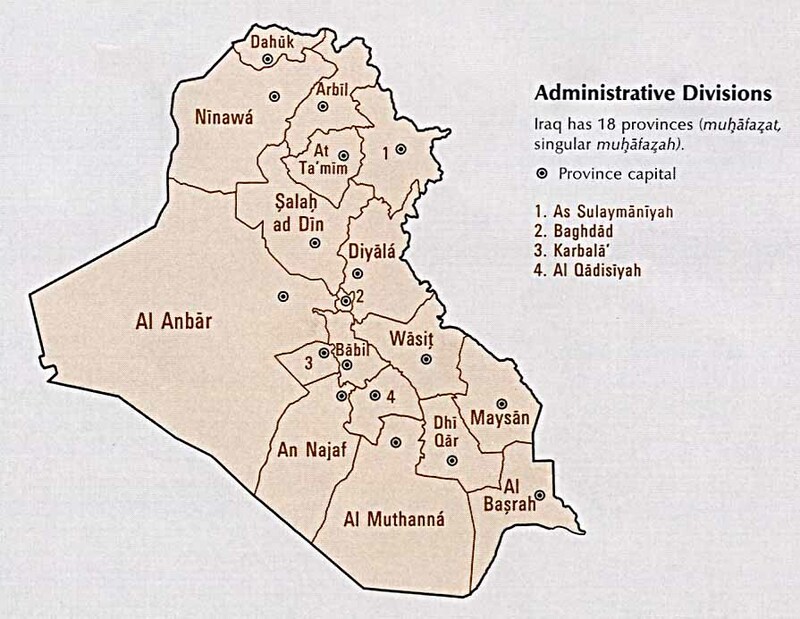 Nor is there any resolution of the broader issues such as the future status of Kirkuk and other disputed areas, or the relationship between provinces and the central government. None of these major issues are likely to be settled at least until a new government is formed in Baghdad in the wake of March elections, something observers say could still be months away. In many ways, the U.S. troops are marking time, waiting to see which will come first - a political settlement, or their departure, said Joost Hiltermann of the Brussels-based International Crisis Group. A UN report says that while civilian deaths caused by ISAF have declined recently, deaths are up overall due to increased insurgent activity. "Especially alarming were increases in suicide bombings and assassinations of government officials in a three-month period ending Wednesday, and a near-doubling of roadside bombings for the first four months of 2010 compared with the same period in 2009." Ironically, however, the same NYT article also tells us that "In violence yesterday, 10 civilians, including at least five women and children, were killed in NATO airstrikes in Khost province, the provincial police chief said." U.S. diplomat Richard Holbrooke is in Pakistan. He says -- Surprise! -- that Mullah Omar and OBL are hiding near the Afghanistan-Pakistan border. Two explosions in Lashkargah kill 1 civilian and injure 19 people. Six German soldiers injured by roadside bomb in Kunduz Province. As the U.S. military sets out to secure cities including Kandahar, it is relying far more heavily on Afghan forces than at any time in the past nine years, when the American mission focused mainly on defeating the Taliban in the countryside, rather than securing the population. But the Afghan forces are proving poorly equipped and sometimes unmotivated, breeding the same frustration U.S. troops felt in Iraq when they began building up security forces beset by corruption, sectarianism, political meddling and militia infiltration. . . .
On a recent patrol in the outskirts of Kandahar, [First Lt. James] Rathmann stopped at a police checkpoint that was recently ambushed. Officers were napping on an open field by the side of the road. "What is he doing to prevent his men from getting ambushed?" Rathmann asked the senior officer at the scene, through an interpreter. The groggy-looking officer didn't seem interested in discussing ambushes. Instead, he sheepishly asked the interpreter to ask Rathmann if the Americans had a spare pair of combat boots. . . .
"Today, Washington is trying to shut down what it clearly regards as the most effective and dangerous purveyor of embarrassing information -- Wikileaks, a self-styled global resource for whistleblowers. It is a safe bet that NSA, CIA, FBI and other agencies have been instructed to do all possible to make an example of Wikileaks leader, Australian-born Julian Assange, and his colleagues. Much is at stake -- for both Pentagon and freedom of the press. "Those who own and operate the corporate media face a distasteful dilemma, both in terms of business decision and of conscience. They must choose between the easier but soulless task of transcribing government press releases, on the one hand; or, on the other, following Wikileaks into the 21st century by adapting high-tech methods to protect sources while acquiring authentic stories unadulterated by government pressure, real or perceived. Site information: We do not "censor" any comments. We delete comments which are completely off topic and designed only to disrupt commenting on this blog. Occasionally a comment will mention Iraq in some way but is generally nonsensical or contains highly offensive language and makes no meaningful contribution to discussion. Such comments may be deleted; it's a judgment call. Also, unexplained links to YouTube videos are deleted because we don't have time to check out whether they are serious -- the vast majority are not. If you want to link to a video, explain what it is. In deleting comments we may occasionally make a mistake or misconstrue someone's intent. It will be easier for us if people will not sign in as "anonymous" but adopt a screen name; it will also make for a meaningful discussion. Sometimes just the "anonymous" designation provokes a reflex to hit the delete button. So please don't use it if you aren't a troll. Thank you for your understanding. C.
The British MoD is reporting the death of a British ISAF soldier from an IED attack in Helmand province province, Afghanistan on Friday, June 18th. The French DM is reporting the death of a French ISAF soldier in an indirect fire attack at Combat outpost - COP Hutnik Tagab Valley, Kapisa province, Afghanistan on Friday, June 18th. An Afghan interrupter was wounded in the attack. NATO is reporting the deaths of two ISAF soldiers from IED attacks in two separate attacks in undisclosed locations in southern Afghanistan on Friday, June 18th. French soldier killed in Afghanistan, among 5 NATO troops killed in a single day: Four other NATO troops - three Americans and a Briton - were killed Friday. #1: Three civilians were wounded when an improvised explosive device attached to a civilian vehicle parked near a café in western Baghdad went off on Friday, a security source said. “The IED went off near a café in al-Harithiya area, western Baghdad, leaving three civilian pedestrians wounded,” the source told Aswat al-Iraq news agency. #2: Two civilians were wounded when a roadside bomb went off in southern Baghdad. “The blast occurred yesterday night at al-Saydiya neighborhood, southern Baghdad,” a local police source told Aswat al-Iraq news agency on Saturday. #1: Gunmen sped up to a checkpoint and opened fire Saturday, killing three anti-al-Qaida (web news) Sunni fighters south of Baghdad, officials said. The checkpoint was manned by a local government-backed group known as an Awakening Council, part of a movement that has been key to a sharp drop in violence in recent years. Nobody claimed responsibility for Saturday's attack in Jibala, 40 miles (65 kilometers) south of Baghdad. #1: Police forces in Basra opened fire on Saturday targeting hundreds of demonstrators in central the city protesting lack of electricity. “Police random fires left a number of casualties,” an eyewitness told Aswat al-Iraq news agency. He noted that the forces are affiliated with the Basra Provincial Council. #1: Police and hospital officials also raised the death toll to 12 in Friday's car bombing targeting an ethnic Turkomen provincial council member in the northern city of Tuz Khormato. Casualties from Friday’s earlier car bomb attack in al-Touz district rose to 10 deaths and 50 wounded, according to the assistant director of Kirkuk Police Department. “The blast’s death toll rose to 10 while the wounded to 50, including 10 women received by the Kirkuk Public Hospital for treatment,” Maj. General Torhan Abdulrahman told Aswat al-Iraq news agency. #1: A sticky bomb attached to a civilian truck went off on Saturday in southwestern Kirkuk city. “The blast occurred before today’s noon, at the Industrial Area of Kirkuk, 10 km southwestern the city,” a local security source told Aswat al-Iraq news agency. #1: A policeman was shot dead by unidentified gunmen clad in Iraqi army uniform west of Mosul city on Friday, a security source said. “Three gunmen in army uniform opened fire on a policeman in front of his house in Hamidat area, west of Mosul, killing him instantly,” the source told Aswat al-Iraq news agency. #2: Policemen found the unidentified body of a man in eastern Mosul city on Friday, an Iraqi security source in Ninewa said. “The body, found in the open in the area of Kok Geli, eastern Mosul, showed signs of having been shot in the chest and head,” the source told Aswat al-Iraq news agency. #1: Iraqi officials say unidentified gunmen killed seven Iraqi soldiers in Qaim, a town near the Syrian border. Officials say at least one other soldier was wounded in the attack at a military checkpoint. #1: A suspected U.S. missile strike killed 13 people Saturday in a Pakistani tribal region where several militant outfits plot attacks on Western troops across the border in Afghanistan, officials said. The missile, apparently fired from an unmanned drone, struck a house in Haider Khel village near North Waziristan's Mir Ali town, said two intelligence officials who spoke on condition of anonymity because they were not authorized to speak to media on the record. Local government official Noor Mohammad said at least 13 people had been killed, while the intelligence officials said some foreigners were among the dead. Their exact identities and nationalities were not immediately clear. #2: A roadside bomb aimed at police elsewhere in the country's volatile northwest killed a civilian and wounded eight people. The roadside bomb in Dera Ismail Khan, which lies near the tribal belt, showed that Islamist militants continue to be active despite U.S. missile strikes and Pakistani army offensives against them. Senior police official Aslam Khatak said the attack happened as the patrol vehicle traveled through the gritty town and that among the wounded was an area police official who played an important role in arresting militants, he said. Six policemen and two civilians were wounded, while the one fatality was a passer-by. #3: Also Saturday, gunmen opened fire on a vehicle carrying an area police chief, Abdul Wahab, in the southwestern city of Quetta, wounding him critically, said Hamid Shakeel, a senior police official. #4: Five persons including two police were killed as a roadside bomb went off in Uruzgan province south of Afghanistan on Saturday, provincial police chief Juma Gul Humat said. "A roadside bomb organized by militants struck a police van in the bazaar of Deh Rawad district this morning as a result two police constables and three innocent passersby were killed," Humat told Xinhua. #5: Afghan and NATO troops killed 12 suspected Taliban early Saturday near the capital of Kunduz province, governor Mohammad Omar said. Taliban field commander Mullah Abdul Razaq was among those killed, he said. Razaq was blamed for several roadside attacks in the province, including two that killed three US soldiers this month. #6: The relative of a powerbroker in Kandahar has been killed in southern Afghanistan where insurgents have been targeting individuals and companies allied with the Afghan government and international force. Kandahar Police Chief Sher Mohammed Zazai said Saturday that Hamayun Khan, who was involved in the construction business, was fatally shot outside his home Friday night. He is related to Gul Alai, a major contractor in Kandahar who once served as chief of intelligence in the southern city. Gul Alai was a mujaheen commander against the Soviets and one of the Pashtun warlords who drove the Taliban from Kandahar in 2001.